Give the Mars Komagatake whiskies a try with this 2-bottle set! Featuring the Mars Komagatake 2016 ePower and MarsMalt, this Mars Whisky set gives you a taste of a lesser known distillery that expertly produces single malts and blended Japanese drams with unique-tasting spirits. 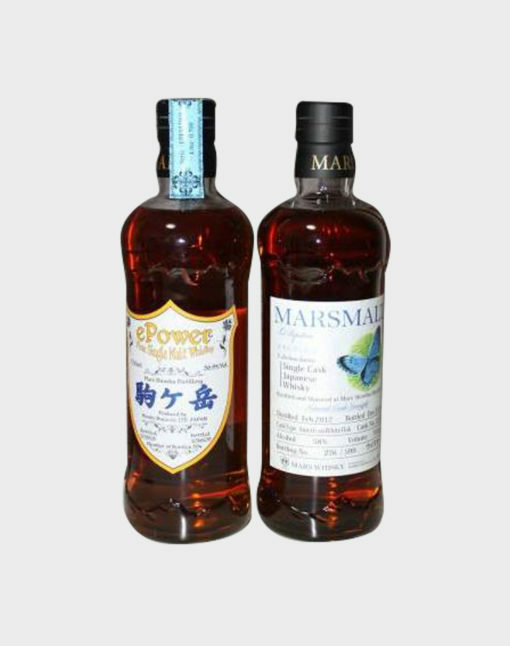 Produced in Shinshu Mars Distillery–the highest distillery in Japan–the ePower and MarsMalt whiskies give you a sample of Mars Whisky’s single malts and single-cask drams. Both bottles have a Mars Whisky exclusive label that provides more details about each whisky you receive in this set. Add these Shinshu Mars Distillery whiskies to your collection and expand your own whisky palate and collection!